You know what they say about first impressions: bad ones are incredibly difficult, if not impossible, to get past; so, it’s important to make sure you’re putting your best foot forward right from the get-go. When it comes to the job market, your first impression is made by your resume. This means that an awesome resume can really increase your chances of landing that plum position you’ve been dreaming about. However, the wrong one can ensure that you’ll never get a chance at a callback from a company. 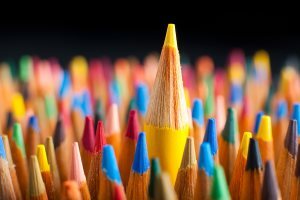 Let’s take a closer look at how you can help your resume stand out from the rest of the pile in the recruiter’s inbox. Many people make the mistake of thinking that only the resume’s content counts. The rest is just window dressing and really doesn’t matter when, actually, that’s far from the truth. While a potential employer isn’t going to be distracted from a skimpy, unimpressive resume by a lot of flash and dazzle, it’s important to realize that they will notice the way it’s presented. Avoid using rumpled, flimsy sheets of paper that don’t add anything to the look of your resume. Also be careful of details like formatting and grammatical errors. Sloppy presentation can give an employer the impression you’d take just as little care with your work. Often, an employer will include special instructions as to what to include when it comes to resumes they receive in response to a job posting. However, you’d be surprised at how many people actually fail to follow simple instructions, thus removing themselves from consideration before they’re even out of the gate. Read the job posting very carefully to ensure you follow directions. If they request a cover letter, include one. If they want to see certain points included in your resume, make sure to include them. You’d be surprised how far ahead of the game this puts you in certain cases. Use professional language when crafting your resume, as well as proper grammar and spelling at all times. Definitely avoid making the mistake of thinking that printing your resume on fluorescent colored paper or using a silly font is going to endear you to a potential employer, because it won’t. Stick to premium-grade, professional-looking paper and solid fonts that are widely accepted as professional, such as Times New Roman, Arial, or Helvetica. You should also make sure that your email address sends the right impression. This isn’t the time to be silly or edgy. Consider opening up a new account that is simply your name, barring all other options. At the end of the day, putting together a resume that stands out isn’t rocket science. It just takes simplicity, know how, and attention to detail.